The 18” Foot Ring Height Extension Kit for Alvin Chairs (CH112/CH222) is designed specifically for Alvin chairs with office height including Alvin Varsity Task Chair and Alvin Budget Task Chair. This kit provides additional height to convert office-height chairs into drafting-height chairs. 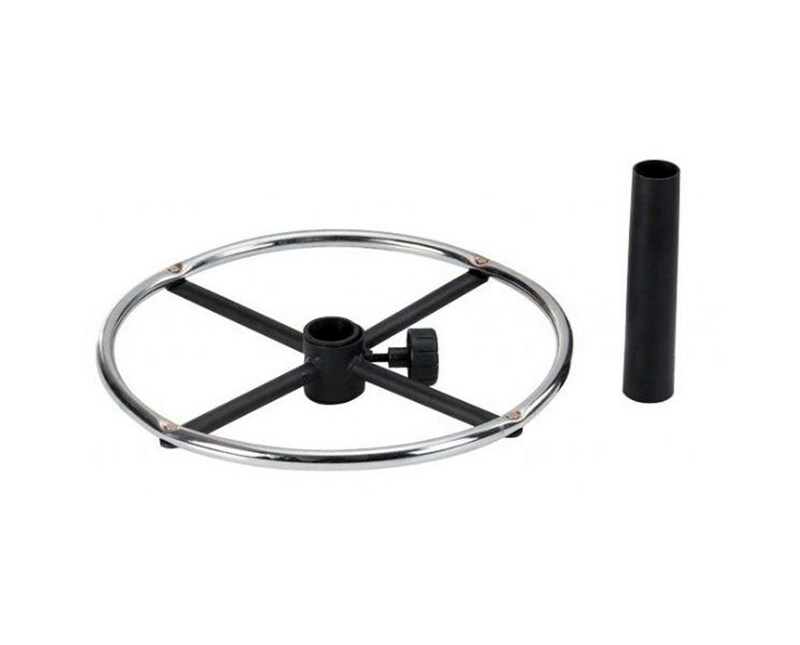 The 18” Foot Ring Height Extension Kit for Alvin Chairs (CH112/CH222) includes an 18-inch diameter chrome foot ring, a cylindrical steel shaft, and a foot ring adjusting knob. The cylindrical shaft that acts as the extension tube features tapered ends that locks into the chair base. 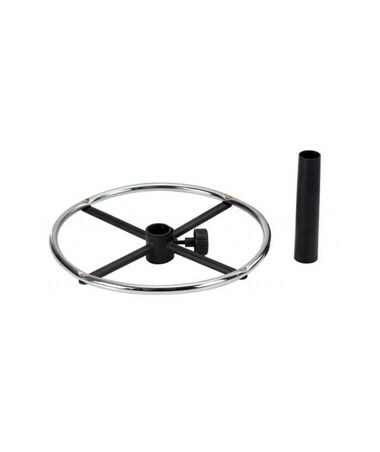 The foot ring can be adjusted vertically and locked when the desired height is achieved. For maximum efficiency, it is recommended to attach this kit as the chair is being assembled.